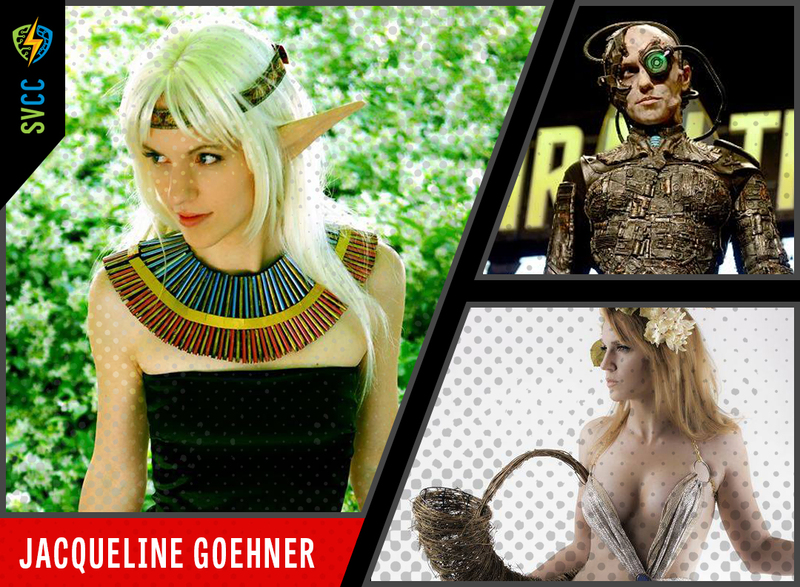 Jacqueline Goehner is a long time cosplayer highly recognized for her Witchblade and Princess Zelda costumes. She has been cosplaying since 2005, making her debut as Princess Zelda from Legend of Zelda: Twilight Princess. Her passion for the craft continued with numerous other characters from the Zelda series as well as others such as Final Fantasy, Meta Gear Solid, Metroid, Silent Hill, Batman, X-Men, Spiderman, Teen Titans, Cowboy Bebop, Record of Lodoss War, ThunderCats, Jem, and many many others. It wasn’t until after her 4 year hiatus in 2012 did she make and wear her most popular costume yet, the Witchblade. Miss Goehner prides herself in her work; she makes all her costumes and props herself and happily shares her knowledge with fellow cosplayers. She is most known for her acting and costume design work in SMOSH and more recently her latest feature film, The Curse of Sleeping Beauty, directed by Pearry Teo and starring Ethan Peck, India Eisley, and Bruce Davison. She works full time as a costume designer and owns her own costume and effects shop located in Los Angeles, CA. Jacqueline is also a native to northern California, growing up in Lodi and the bay area. She is excited to be debuting her latest cosplay, Linkle from Hyrule Warriors Legends here at Silicon Valley Comic Con!